This post in the series “Kill the Hierarchy” I explore how a flatter organisational structure requires information to be accessible. Flat organisational structures depend upon shared information and a common understanding of what everyone is doing. Flat structures also open up communication and provide the opportunity for employees to learn from one another – thus distributing valuable knowledge across the organisation. The ‘Kill the Hierarchy’model shown the diagram below, illustrates the changes needed to move to a flatter structure, and it is these changes that we shall be exploring in this series of posts. Access to knowledge and information must be easy and intuitive. According to Sahil Lavingia, the co-founder and CEO at Gumroad, the successful platform that enables creators to sell products directly to consumers, everything you do and the systems you put in place should be immediately intuitive. New hires should be able to get involved in conversations straight away. If someone needs data from another team, it should be exactly where they would think it should be. Gumroad’s flat organisational structure supports information accessibility. “When I think about how I want us to work, and how open I want the company to be, I like to use this rule of thumb: Assume that new hires won't be able to talk to any of their co-workers for 48 hours. This is of course never the case, but if it was, they should have enough information at their fingertips to do their job. They should be able to read up on any problem or feature or question they have. Information should be accessible in the same way as Sahil describes the tiers of intuitiveness. We should strive to have information accessible via tier 3. · Tier One: You know who you can ask to get the answers you need. This is actually the worst way to find what you want. It's heavy lifting for everyone involved and takes up multiple people's time. · Tier Two: You can search for the information you need and have it presented in some format that you probably have to dig through. This is a little more scalable, but it still takes time and isn't perfect. · Tier Three (the best tier): The interface you're working with is designed so that it's immediately intuitive how you should proceed. It walks you through the information you need and tells you how to apply it. Information is only made widely available when everyone in the organisation has a contribution mindset. A contribution mindset is required of every employee in a self-managed flatter organisation. Employees share information regardless of whether they were asked for it or not. The excuse, “Well nobody asked me”, does not stack up today. There are systems that will support employees making information available as well as easily accessible by their peers. At Morning Star, the world's leading tomato ingredient processor, employee contribution, whether asked for or not, is written into their Morning Star Colleague Principles. “Caring and Sharing. To the degree Colleagues care about themselves, their friends and relatives, fellow Colleagues, suppliers, customers, the environment, the Mission, Principles and facilities, etc., each of us will come closer to achieving our personal goals. In caring for others, each colleague commits to (1) share relevant information with others, (2) take initiative to forward information that they believe may be helpful to another's activities, even if it is not asked for, and (3) responding to respectful inquiries made of them by other Colleagues in a respectful and responsive manner”. When decision-making authority is distributed, the quality of decision-making depends on access to relevant knowledge. To promote knowledge sharing and knowledge exchange, organisations must remove the structural barriers to the interaction of their knowledge workers. They must flatten the hierarchy. Knowledge management will be impacted by organisational structure. The structure will define how information flows within the organisation. In a hierarchical structure, employee’s roles are clearly defined, department composition is relatively static and there is a clear line of communication etiquette. These organisations constrain the interactions an employee can have and limit knowledge sharing. Flow of information is slow as it moves up and down reporting lines. In flatter structures, information flows much more freely and knowledge is shared much quicker and broader. 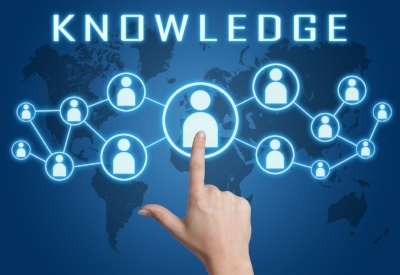 When knowledge management is a source of competitive advantage today, organisations have to look at how their structure hinders or promotes the effective knowledge creation, sharing and utilisation. Organisations that adopt flexible and flatter structures, with fewer hierarchical levels, boost the communication, interaction and knowledge sharing of employees. Interaction is so much easier and unconstricted. The hierarchical organisation reduces the ability of the organisation to integrate and share knowledge. News.com.au quotes Tim Kastelle, a Princeton alum, University of Queensland professor and world authority on corporate organisational structures. Kastelle reflects on what is driving organisations to change their structure to a flatter one. “Connectedness, both within and from the workplace to the world is a major driver. If organisations are going to not only survive but also thrive, the structure needs to enable improved sharing and access to knowledge and information. Hierarchical barriers mean that access to information for rapid decision-making is not available. Employees best situated to make rapid decisions because they have the contextual facts, may not have the additional information or knowledge that they need. Therefore decision-making is goes up the chain of command, is centralised and the organisation cannot be responsive to change. Just like the dinosaurs unable to respond to change, they will die. Knowledge and information is the only sure source of competitive advantage. Winning organisations are able to consistently create new knowledge, spread it throughout the organization and rapidly manifest it into new technologies and products. The information or knowledge-based organisation has a flat structure and the knowledge is in the hands of the self-managed workers.